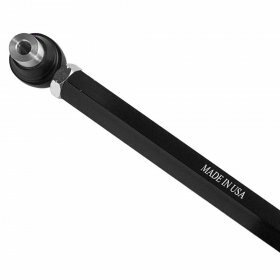 Our adjustable rear toe arm set allows for full rear toe adjustment on BMW E82 and E90, E92, E93 models, while eliminating the deflection that occurs with the stock rubber bushings by adding spherical bearings. Like all of our adjustable toe arms, they are designed to be strong, yet lightweight and offer easy adjustment while installed. These rear toe arms offer enough adjustment to be used with either a full racing setup or on a lowered street car that needs to adjust the rear toe back to stock specs. Adjustable Rear Toe Arm Set – BMW E82 (1M), E90 E92 E93 (M3). 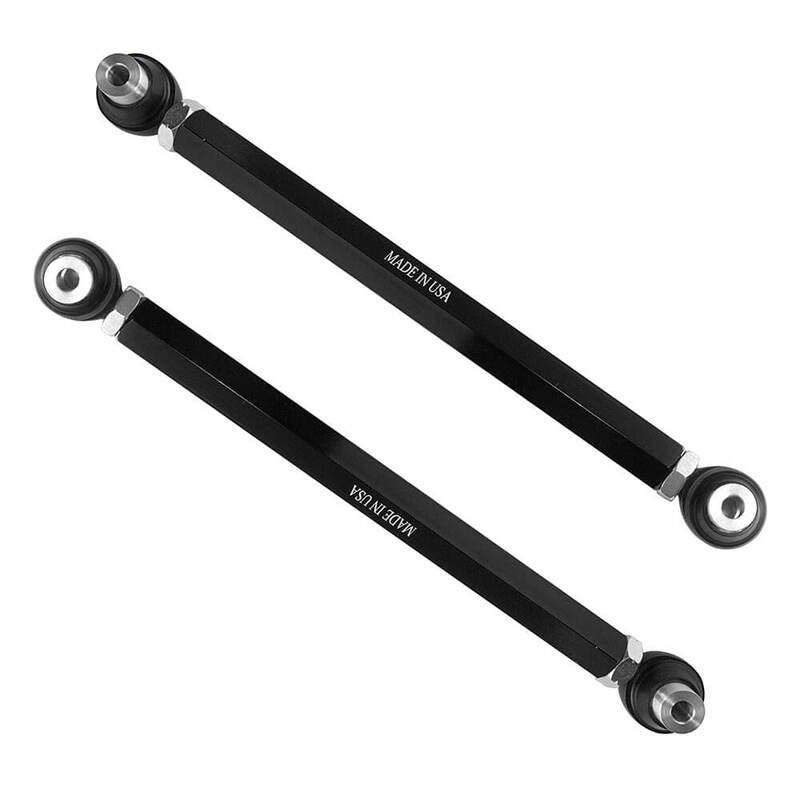 Our rear toe arms are made of high-quality 6061-T6 anodized aluminum rods with high-quality, Teflon-lined race-spec rod ends with rubber rod end seals. Set of two arms. Professional installation recommended.